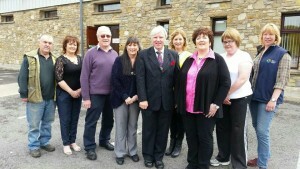 We, at the Bluestack Centre, are a voluntary community development group. Our aim s are to enhance the quality of life in our rural community whilst at the same time providing visitors to our area with quality facilities from which they can explore and enjoy the experience of this unspoilt natural wilderness that is ‘The Bluestack Mountains’. The opening of the centre, which combined a 28 bed hostel facility with a community centre and leisure area was the climax of over eight years of development at Drimarone. More recently we have added an Astroturf, a state of the art Children’s playground and other leisure facilities . Why not come and visit us? Come to explore the magnificent Bluestack Mountains along the Bluestack Way National Waymarked Walk, for fishing on the river Eany or just for a quiet break in the country. 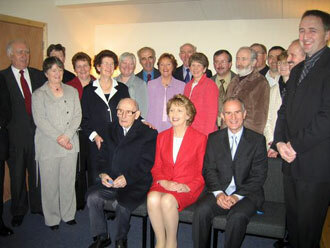 President Mary McAleese officially opened the Bluestack Centre at Drimarone on the 29th of April 2004. © 2017 The Bluestack Centre | Website by Zynda Media.